A sequel to 2015’s “San Andreas” is in the works at New Line, TheWrap has learned. Neil Widener and Gavin James will write the script for the film. 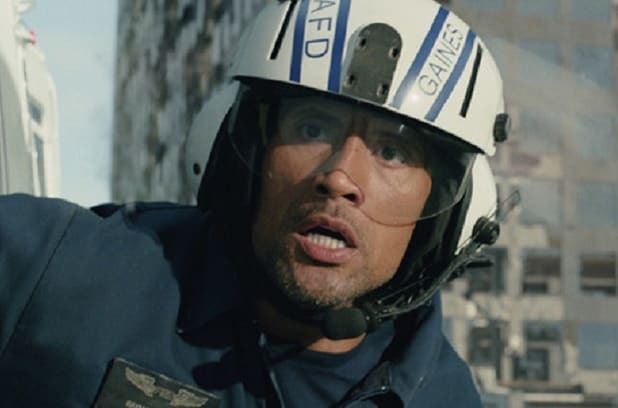 “San Andreas” followed rescue-chopper pilot Raymond Gaines (Dwayne Johnson) as he tried to save his family from the mass destruction of a gigantic earthquake that hit California. The disaster movie grossed over $473 million worldwide last year. Johnson is set to return for the sequel, as is producer Beau Flynn and director Brad Peyton. Carla Gugino and Alexandra Daddario, who played Johnson’s wife and daughter in the first film, respectively, are also expected to return, along with Paul Giamatti, who played the seismologist who predicted the quake and its after shocks. While plot details are being kept under wraps, the sequel is expanding globally and will focus on the Ring of Fire, which circles the Pacific Ocean. Seven Bucks Productions, Johnson’s production banner, will also be involved, with Peyton acting as a producer as well. Richard Brener, Michael Disco, and Samuel J. Brown are overseeing for New Line. Wendy Jacobson will oversee for FPC.